But people also raved about Brazil and compared the friendliness and generosity to Colombia so I have always known I would go back. And so when a big travel conference was announced in Sao Paulo along with the opportunity to speak I could not pass it up. Deciding to spend 10 days in Sao Paulo was a bit troublesome, mostly because everyone on the Bacon is Magic Facebook Page told me terrible things about Sao Paulo and warned me that 10 days were far too many. Readers told me it was an ugly, dangerous concrete jungle with not much to see. I have really been enjoying my time in Sao Paulo. True, the central downtown core is just a series of skyscrapers but there is so much more to the city. Here’s what I like about Sao Paulo. I now realize I was lucky to have issues with the hotel I was supposed to stay in because the neighbourhood I am staying in now, Ana Rosa, is an older neighbourhood without skyscrapers. The streets are lined with interesting restaurants and bars and I feel comfortable here. The subway system here is modern and pretty easy to navigate. The downside is that it is $3 a ride, but that is the same as Toronto and it goes to far more locations. Can you believe I haven’t eaten feijoada? Yes I love rice and black beans but I also wanted to experience the diversity of a big city. Because I am here for the conference I decided I wouldn’t do what I usually do, create a long list of food I need to eat. But just stumbling upon restaurants I’ve been able to sample traditional food in Brazil from around the country as well as fantastic Japanese food, thanks to the large Japanese population in Brazil. I love caipirinas. Nothing else really needs to be said. Angela writes the food blog, Manual da Dona de Casa, which means the Manual for the Woman of the House. When I wrote on Facebook I was coming to Sao Paulo she asked if I wanted to go out one afternoon. That afternoon turned into several afternoons and she was a fantastic guide, showing me all the little idiosyncrasies of Sao Paulo that I would not have seen. 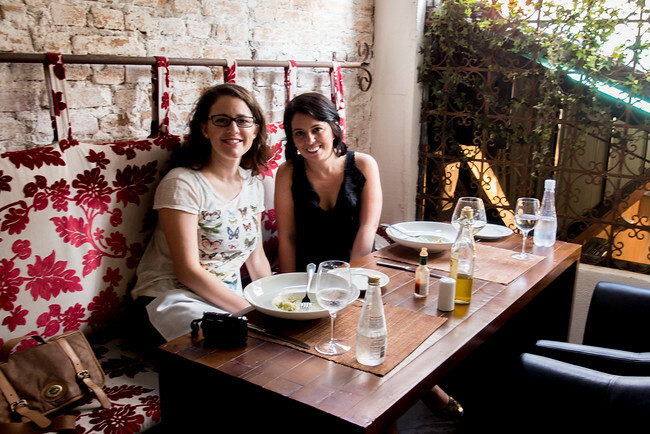 I definitely want to come back to Brazil and to Sao Paulo again to hang out with Angela again. I wonder if you’ve had a chance to make it to Liberdade (Sao Paulo’s Japantown). I’ve heard about it and have always wanted to go there to try Brazil’s version of Japanese cuisine. I too have been avoiding Brazil for many of the reasons you mention. You post, and the fact that I am a bit of a contrarian may make me change my mind. Thank you so much for the flattering comment! =) Having you here and showing you around was a huge pleasure. Hope you plan on coming back soon! You make Brazil look appealing! 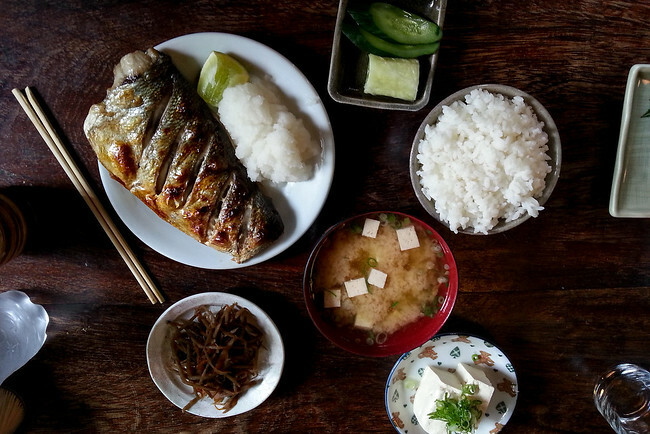 I would also love to see how Brazilian ingredients influence or fuse with Japanese cuisine. And have a capirinha to go with it all. So glad that I was not aware of how you were feeling about Brazil before you left as I had to adjust my emotions about you traveling again. Very happy to know it turned out to be so great…cut me some slack….I am your mother! 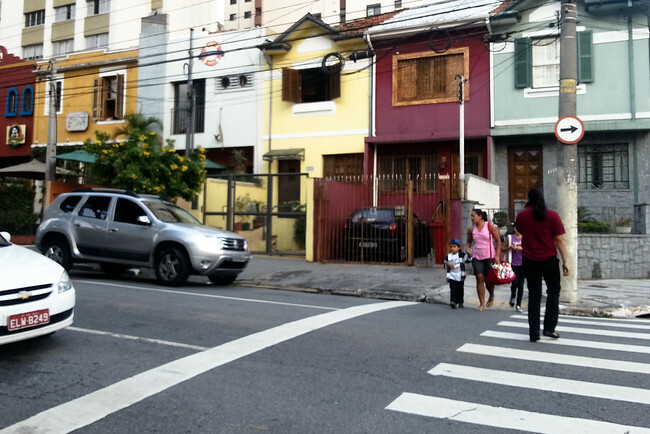 It’s good to read what foreigners have to say about São Paulo. You’re right that they usually relate the city as a ‘concrete jungle’ and end up going to the Brazilian seaside, such as Rio. I’m glad you liked the city and experienced a side that is not the mainstream, usually followed by tourists. I’m from São Paulo, and here is the text I wrote, which shows this ‘other side’ of São Paulo, one that is dynamic and different. Hope you enjoy the reading! Mmmm…the food pics (as always) are really kick starting my morning. And the very mention of a caipirinha makes me want to scour the markets for a bottle of cachaca right now! 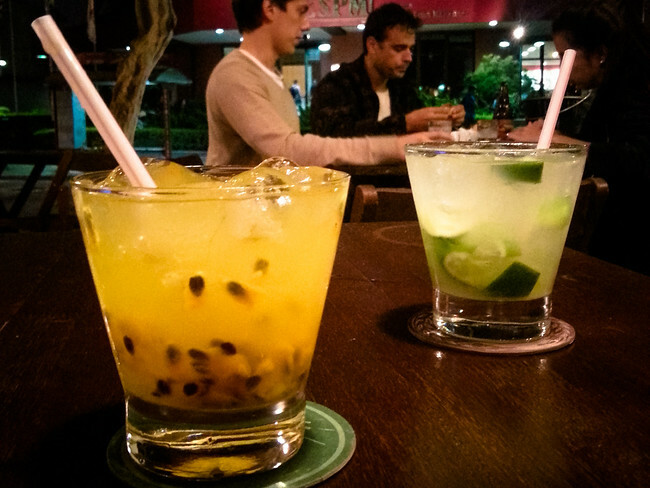 Passionfruit caipirinhas are the best – so yummy, dangerously easy to drink and one of the few things that are fairly cheap (if you get them from the street that is) in Brazil. Thanks for the heads up about Angela’s blog – Brazilian portuguese is the next language I want to learn so it’ll be great revision! We heard and read so many bad things about Brazil before visiting. After having just come from Colombia and Peru, we love it! We don’t find it any more dangerous than any other country we’ve visited in South America. We’ve been here almost month now and have nothing but great things to say about Brazil. The people of Rio (Cariocas) are some of the nicest people we’ve meet in SA. I don’t really know what all the negative hype is about. One thing is for sure though, it’s expensive! As with everywhere there are good and bad places. #1 and #2 were also my reasons for not going to Brazil. I want to go when I’m not focused on the travel budget and really enjoy it. Glad you found someone to show you around to find hidden spots. TIme and time again I’ve been glad that I didn’t listen when people told me a place was worth skipping. I have only been in agreement once! Just goes to show, to each her own. I’m so glad you enjoyed Sao Paulo. I have to admit I passed straight through it twice without leaving the bus station! I’m glad someone else out there likes Sao Paulo! It’s not my favorite city in the world, but I definitely think it gets a bad rap as supposedly boring, dangerous and full of concrete. I enjoyed my time there and would happily go back. After my less-than-stellar experience in Bogota, I’ve been a bit reluctant to think about visiting another large, South American city. But reading accounts like yours go a long way in easing those fears. Having a local guide always helps tremendously, too! I have stopped listening to other peoples’opinions to be honest. If I had listened to other travellers I would have never experienced so many wonderful adventures. I usually have a very different taste to other people anyway when it comes to traveling, so I just do the things I want to do, despite what other people say. You know I once had someone tell me in Nicaragua that you did not need to go to Leon AND Granada as they were both so similar – they are opposites! You are right, you can listen to people but in the end you have to take it with a grain of salt. I started my Brazilian journey this year in Rio for two weeks of Carnaval. Not only was that amazing, but amazingly ‘safe’. I walked around for two weeks…people were extremely helpful and friendly. 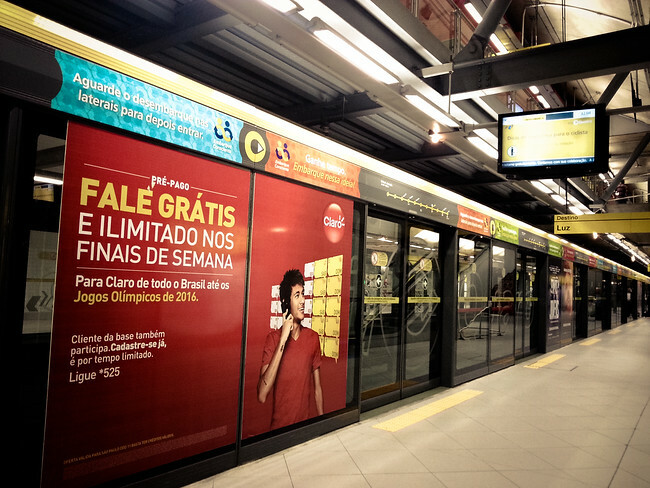 I ended up spending a total of six weeks in Brasil…not a problem once. The cities I visited were: Rio de Janeiro, Buzios, Ilha Grande, Paraty, Iguazu Falls, Bonito, Campe Grande, the Pantanal, and Saõ Paulo. I took day buses and several overnight buses without any problems! 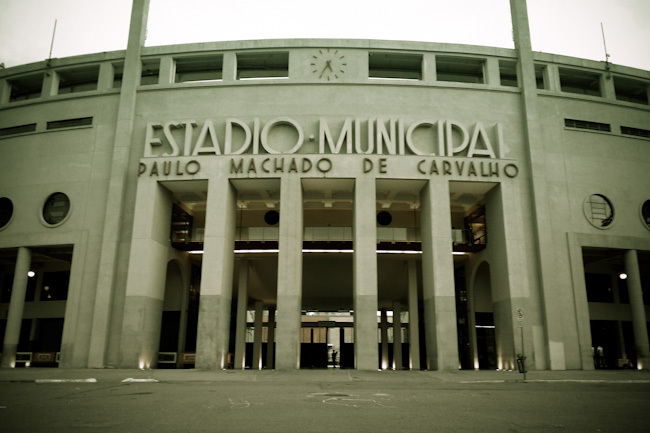 I too enjoyed Saõ Paulo, of the 4 nights I was there. I stayed in one of their smaller neighborhoods and found it ‘safe’ to walk around, even at night. I am really so happy to read this. I don’t know why I was hesitant to visit Brazil when I know people paint Latin America with the same brush and I find it safe. I am hoping I can make it to Brazil in 2014 – even if simply for the food. Nice. You ate, drank, slept and tubed your way under the city. For a real experience of the city to write home about, try living here… for a year. Well to be fair I didn’t spend all my time tubing, a reader of mine took me out in her car and on the bus. However, I’m back in April and if you’re up for it I’d love for you to show me your side of the city. No, thank you. All you need is your own legs. See the city by foot. Then write about it. Take care. Well I’ll happily await your new criticism in April. That’s great you liked Sao Paulo! I’ve been living in Brazil for 9 months now and have visited several cities, but not Sao Paulo. Everyone tells me it’s an ugly concrete jungle and a disorganized city. I’ve been to the airport about 5 times, but I’m not making a trip to go anytime soon. However, it kills me when I hear people don’t want to go just because of the language. Glad you decided to go anyway! I’ve seen photos of the skyline and photos of the suffocating concrete jungle-like streets. But I’d still like to visit Sao Paulo one day. I agree with you Ayngelina, no matter what others say about the place. Never the less the beauty is just amazing.